1 – Click Settings in Library Loader. 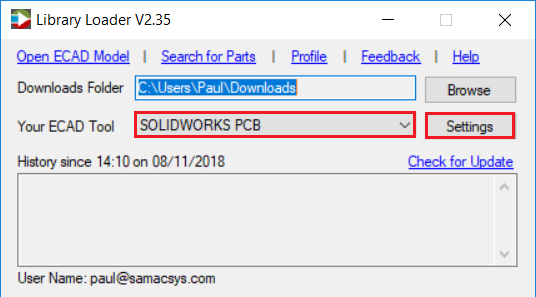 2 – To prevent these instructions from showing every time you download an ECAD Model, please uncheck “Show Library Import Instructions”. If you want to review these at any point, you can click the Help link in the same dialog. 3 – Click OK to accept the Settings. 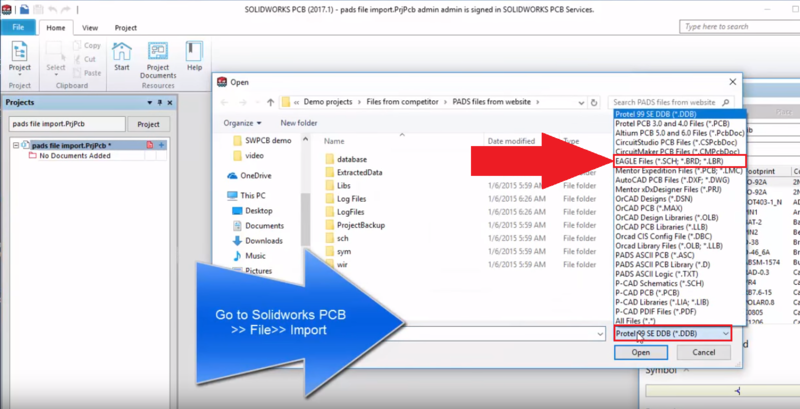 4 – On downloading ECAD Models from supported websites, the LBR library file for SOLIDWORKS PCB will be extracted and left in your Downloads Folder ready for importing. 2 – Select EAGLE Files (*.SCH; *.BRD; *.LBR) from the Files of type list. Select the EAGLE library (*.lbr) file from your Downloads Folder and click Open.